I try not to whine too much. Honestly. While I am writing this post, my legs hurt like hell from doing intervals very fast last night. I’m actually sitting with straights legs, because they seem to cramp if I keep them bent for more than 1 minute. But I am well aware that it is my own fault. I shouldn’t have done intervals, but wanted to because...well...since I’ve promised you guys that I was not going to bore you with my training running mis-adventures, let’s just say that I shouldn’t have done intervals. Period. Still, I made my choice. I’m an adult, I know what can happen when I overtrain. There are no accidents to report around here. No whining possible. Soooo, if I were to whine, what would it be about? 1) I would really love to whine about gas prices, but I don’t own a car. When I rent one, I’m always in shock of how ridiculously pricey is to rent a car. It is actually so expensive, the gas price becomes secondary. 2) I would love to whine about cigarette prices too, but I don’t smoke. I find it gross. Although, let’s all agree that smoking a cigarette while sitting on a motorbike makes you look really badass. 3) I would to whine about how everything used to be better in the good old days, but I don’t feel like I’ve lived long enough to make a valid argument on that. 4) I would love to whine about the New York Giants, but it’s not football season yet. I have to wait a lil longer. 5) I would love to whine about how bad the subway car I stepped into earlier this morning smelled (really disgusting), but I got-off at the next stop. No biggies. One thing I’ll never whine about though is a good, juicy burger. Sometimes (more like always) nothing beats a good juicy burger — with or sans bun. And even if a bison burger is arguably the bestest burger E-V-A, I do NOT disdain a good ‘ol turkey burger. Especially when the meat is well-seasoned and mixed with some veggies to pump up the flavor. So here I present you with my all time fave turkey burger: the Turkey Zucchini Burger. Zucchini, scallions, egg, mint, parsley and a good amount of spices mixed with ground turkey, to make one awesome burger. It is true that this burger is so packed with herbs and veggies, it is actually more akin to turkey meatloaf in patty form. The other side of the coin is that you’re sneaking in a lot of good and healthy stuff along with the animal protein. Meaning that these burger may be labeled as “healthy” or “clean eating”. And if you want to whine about it (or about anything else!) I am opening the floor. 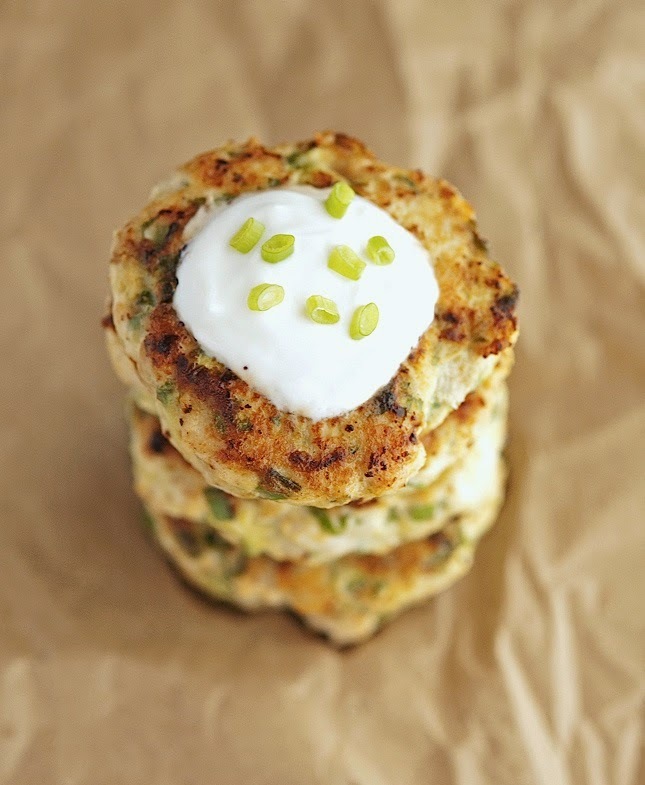 Turkey Zucchini Burgers with Lemon Yogurt Sauce Print this recipe! Oh wow Mike, can't wait to give these bad boys a try! That's awesome Rebecca, let me know how you like 'em! Then you should eat a burger asap Tam! I am seriously at a loss for words at how perfect this turkey burger looks. Everything about it and now it is on my to-make list in the very near future. Ridiculously cool. Thanks! Love these! I picked up some ground turkey today and was wondering what sort of turkey burgers I would make, these may be a winner! They're absolute winners Hayley, I'm pretty sure you'd love 'em! They look fantastic Mike, thanks for sharing this amazing recipe! This looks so delicious! Definitely going to try this soon! Thanks Linda, I love to be called a riot. It's so cool! Hi Mike, this looks like the perfect burger, love the yogurt sauce. I don't know if it's the perfect burger, but it's definitely super tasty! This sounds amazing! I'm going to be making this stat...as soon as my doctor lets me have other stuff besides eating veggies and drinking vitamins! these are right up our alley! great recipe! Mike - there's so much awesomeness in this post - I've visited NYC in the summer before, I find it funny how the heat ignites and amplifies all those smells in the subway more than anywhere else-I cannot help but love your mom with a catchphrase like “Buck up kiddo and take responsibility for yourself!”! And, true story, last friday I met a friend at a restaurant and as the place was packed we opted to eat on the patio, about a second after I sat down I started coughing uncontrollably (I thought I was developing allergies after having made it so long) but realized that a woman had been smoking behind me when the waitress came and suggested we move to a booth inside and apologized for her customer...which she didn't need to do - cigarettes are gross and I will take clean lungs over looking badass anyday! Speaking of badass - these burgers surely are badass! 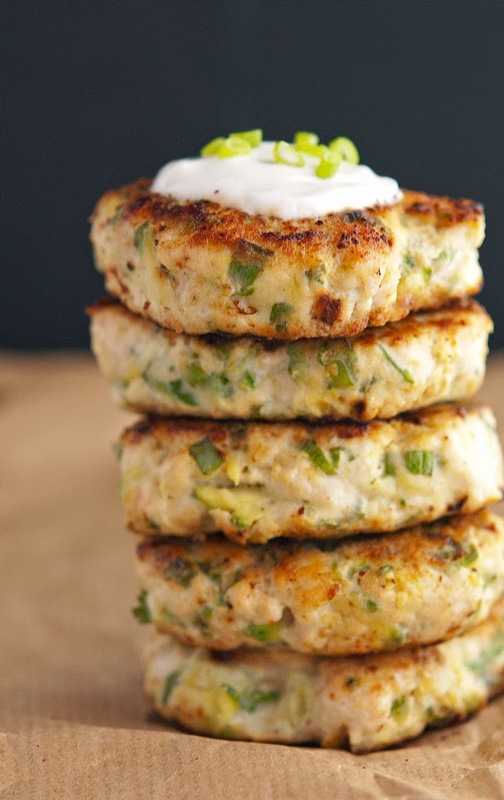 - I love love love the zucchini, scallions and cumin in them! After a slight addiction to your spaghetti and meatballs you posted awhile back, I have tried not to make any of your recipes - but these burgers are so gonna happen! Sometimes it's nice to whine a bit, even when you've done it to yourself. In fact it's almost impossible not to when you've pushed really hard! 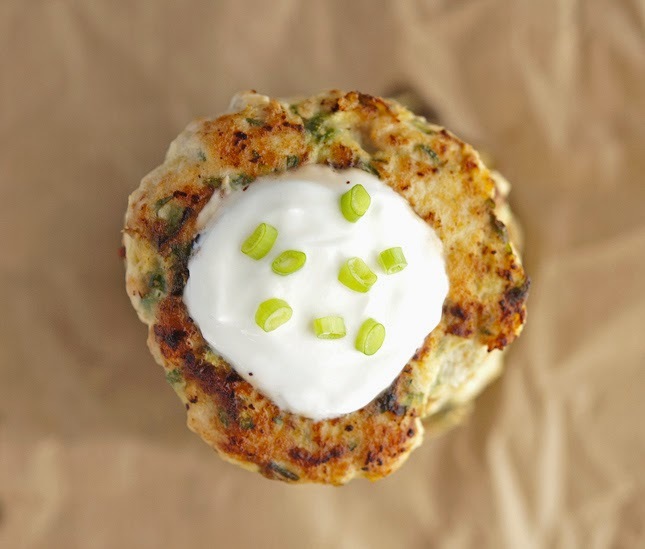 We must be on the same wavelength because I have a turkey burger coming out next week, but it's not as clever as yours with the zucchini and rockin' flavors! I wouldn't even complain if I bit into a juicy burger and the juice got ALL OVER my brand new white t-shirt. Because IT WAS GOOOOOOODDD! Hahahaha the Alpha of the Wolfpack isn't allowed to whine! He's gotta be our rock, our foundation! And dude, I'm really loving the mint-yogurt-lemon combo. These burgers sound fantastic! "No whining, just howling" that's our motto! I am thinking I could form a loaf and bake this like a meatloaf and slice it. I am a big fan of leftover cold meatloaf sandwiches and this would be a glorious change up on my standard meatloaf recipe. If you do make a meatloaf you have to report back, I'm curious to try it myself. These were delicious! I cooked them for dinner as a burger and topped them with arugula, and the flavor was great. I am thinking I would like to try them as meatballs as suggested as well. Great recipe; thanks for sharing! That is awesome, nothing makes me happier than knowing someone tried the recipe and actually loved it. Thank you! 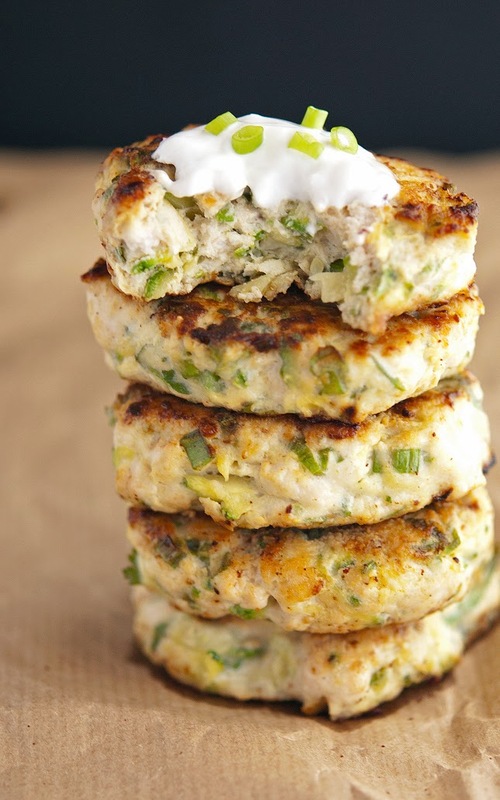 Can you use ground chicken for this recipe.. looking for good recipes for ground chicken, this looks so yummy and I have tons of zucchini.. 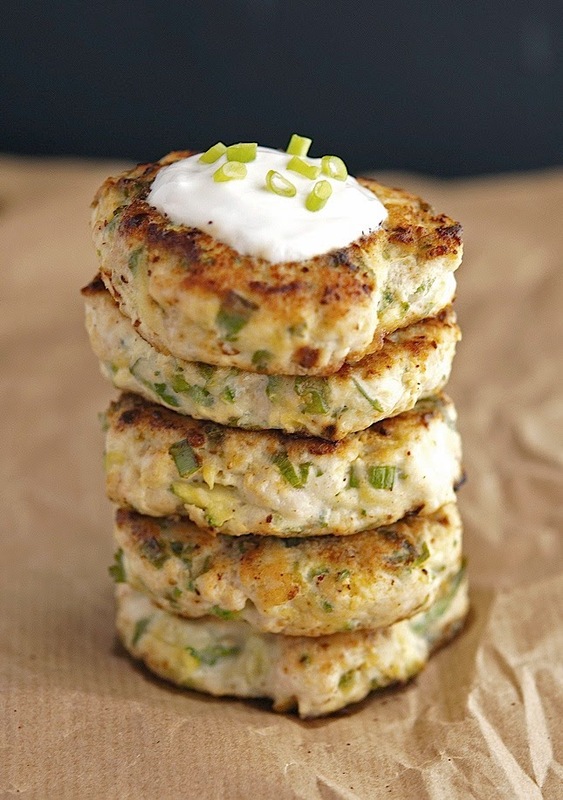 Absolutely, I've made them with ground chicken and they were spectacular! I made these this evening and they were amazing! Even my meat and potatoes guy loved them. Thanks so much for this recipe! Thank you for making me look good at our Labor Day gathering yesterday. Big Hit!! Made these tonight and cooked 'em on my George Foreman grill. Amazing recipe and so simple to make! Thank you! The taste of these burgers was okay but it was flawed in one big way... The zucchini made the mixture so watery it was impossible to form into patties! I had to add a bunch of bread crumbs to soak it up and when that didn't help, I put it through a strainer. In the end the burgers were cooked on the outside and raw on the inside. Wouldn't make them again. I can't tell you how many times I've shared this recipe! I have some sitting in my refrigerator right now even :) I run online fitness groups every month and always share this and everyone always LOVES it! Thank you so much for the great content!! This looks fantastic! How could I make it without using the egg that and that will still hold together? (I tried reading though several comments before posting in case it had already been asked, apologies if I missed it...). Thanks! Hey was wondering if anyone try ed it with ground chicken and grilled them?